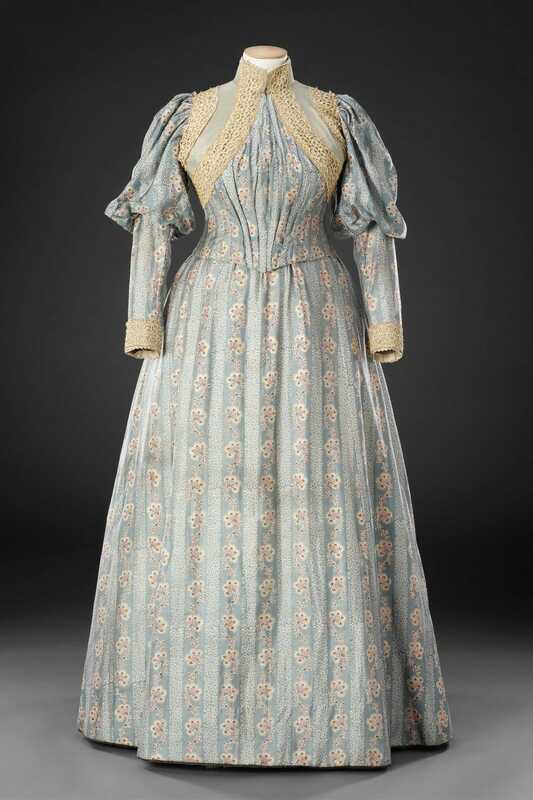 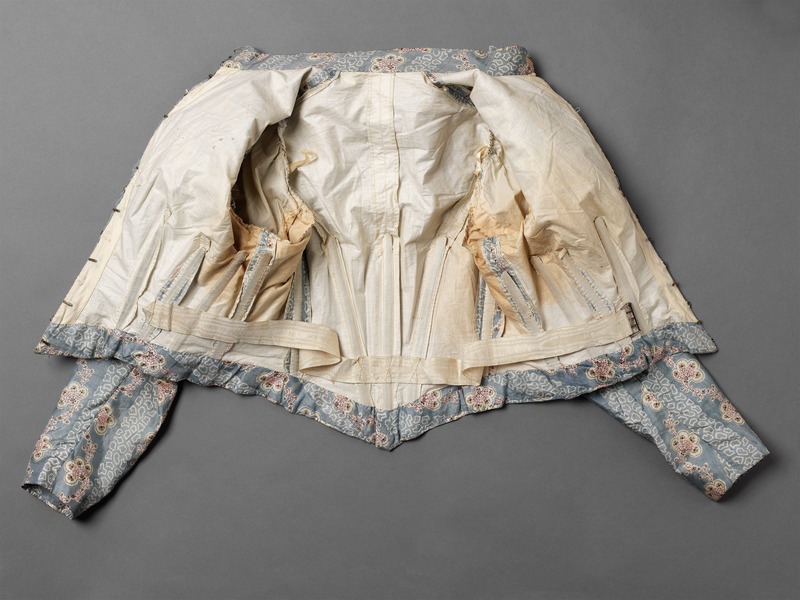 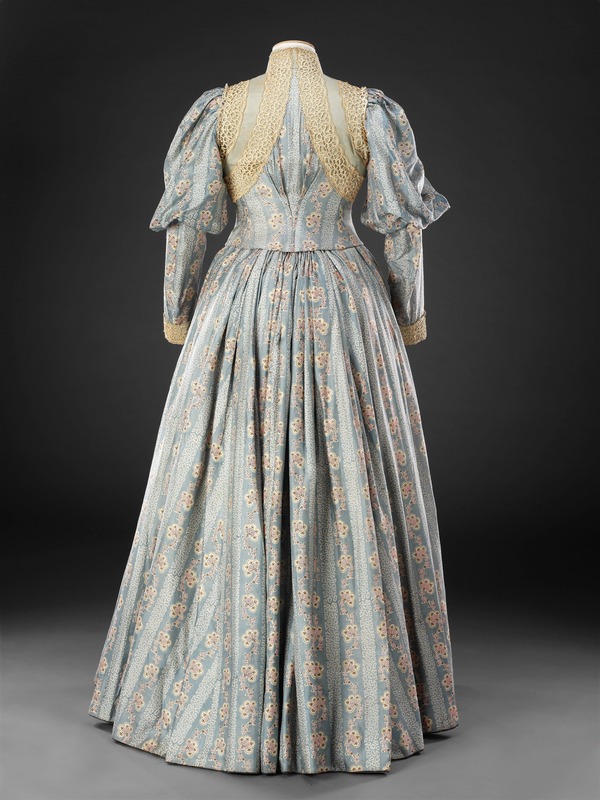 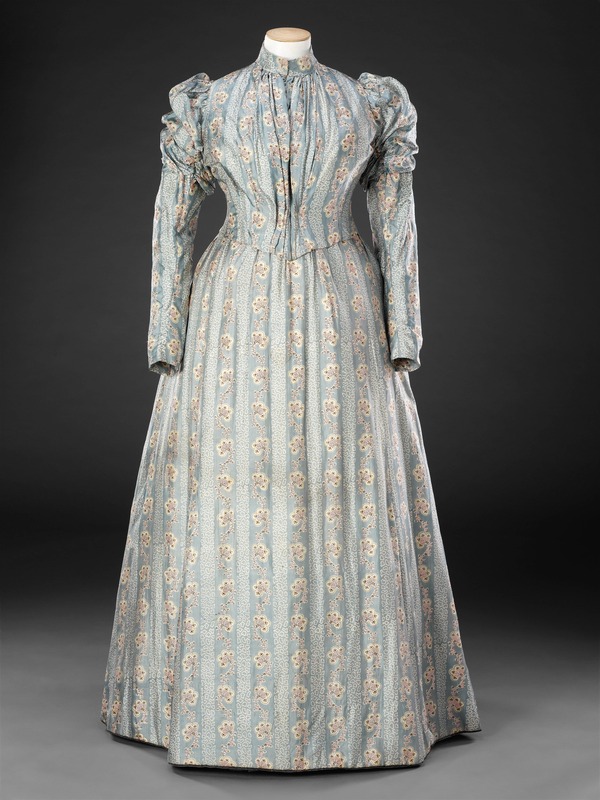 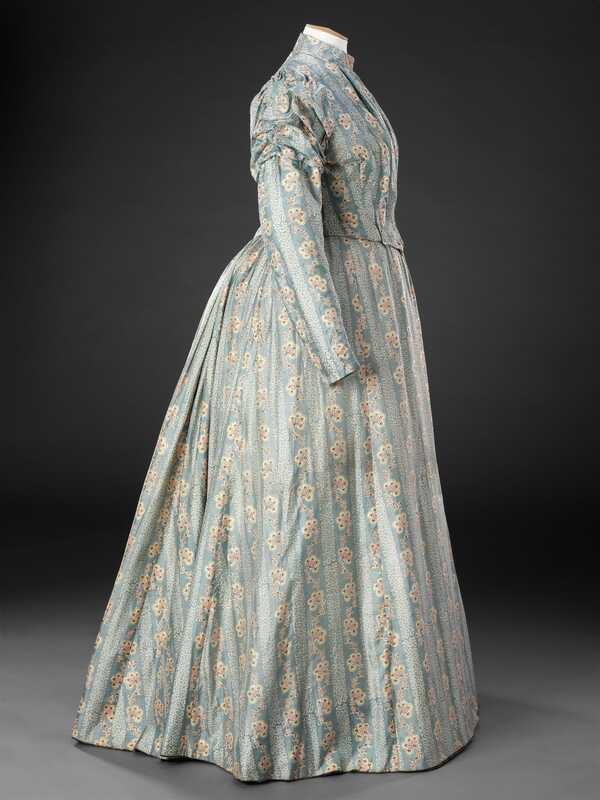 This dress, comprising two bodices and a skirt, was acquired as part of a family collection. 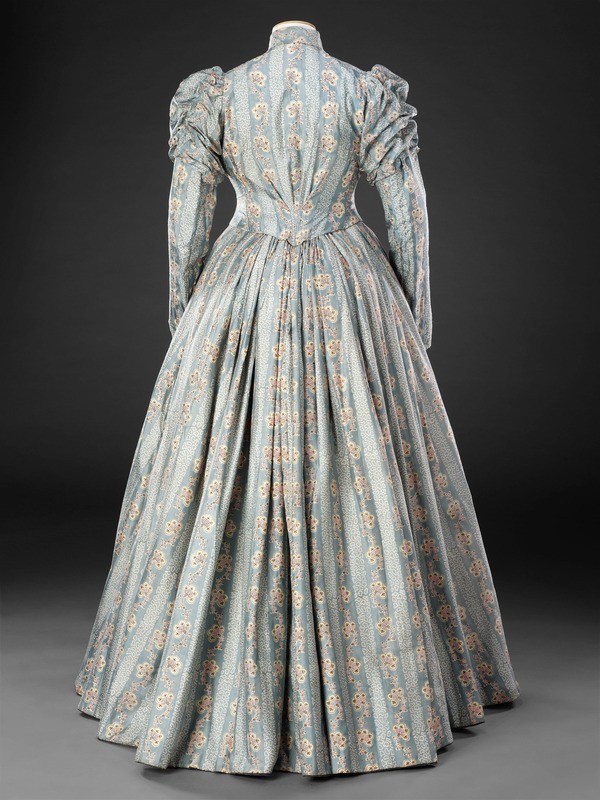 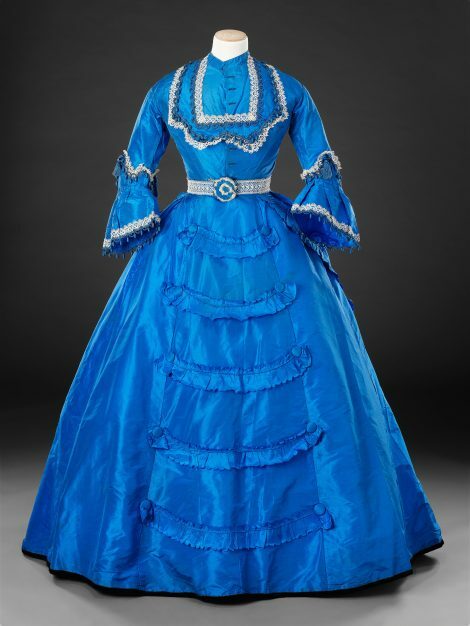 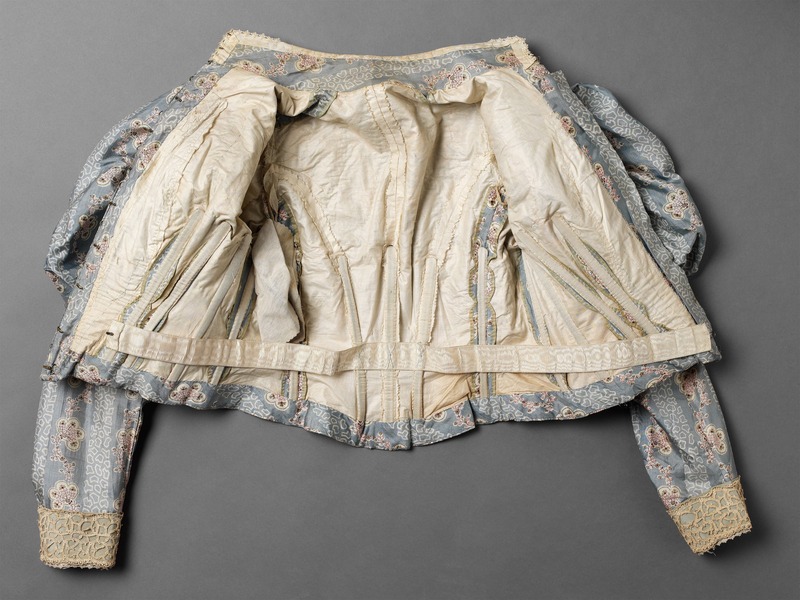 One of its bodices has plain contrasting panels outlined in heavy lace on its upper area, and two-part sleeves with full upper sections, which together with the skirt, are characteristic of around 1893. 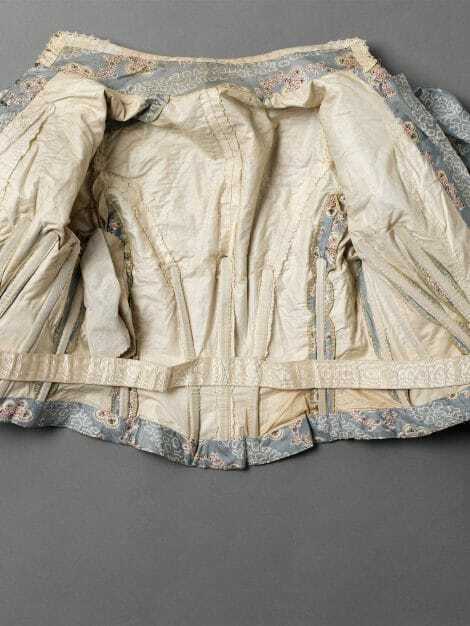 The second bodice is about four years later in style, the upper sleeves being ruched in as if the earlier full sleeve had collapsed, a fashion of about 1897. 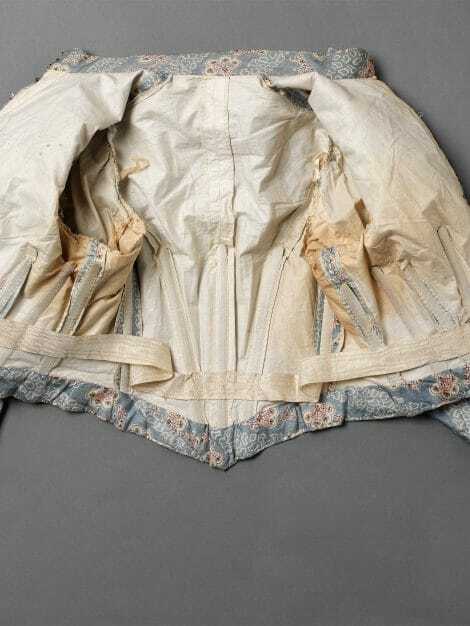 This would indicate that it was made as a substitute for the first bodice to bring the dress up to date. 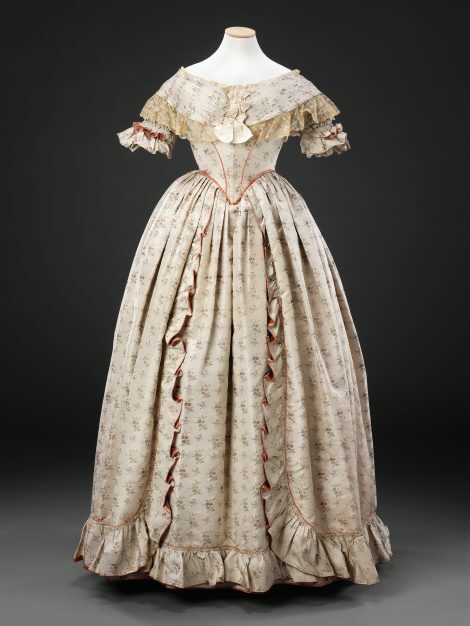 The outfit came into the John Bright Collection with a length of matching unused silk, suggesting that it was probably either made at home or by a dressmaker.